Arbaaz Khan Productions’ third venture Dolly Ki Doli (Dabangg 1 & 2 explain the Ds in DKD) hit Singapore theatres (Bombay Talkies) this week. Arbaaz Khan Productions’ third venture Dolly Ki Doli (Dabangg 1 & 2 explain the Ds in DKD) hit Singapore theatres (Bombay Talkies) this week. The Khan family has punted on first timer Abhishek Dogra and a fresh plot, but is Dolly Ki Doli worth your time and money? 1. Freshness and Feminine: Twenty minutes into DKD the audience comes to know that the protagonist Sonam Kapoor and her gang conduct fake marriages to loot money. It’s something which you may never have witnessed in real life, but silently wish that many of your female friends did the same when they got married into wrong households. It’s a statement against the arranged marriage format, a system which usually makes the bride a captive in an unfamiliar household. The ending will surprise you for sure. The film has no social message, nor does it pretend to deliver any moral theories. The plot appeals for its freshness and the feminine power. 2. Sonam Kapoor: Urban feminine power is best displayed by Sonam Kapoor – a real life fashion diva, born with silver spoon in the mouth. She walks over red carpet venues, carries the perfect big smile, says whatever she feels in interviews and cares a damn. It’s no wonder, despite her non-existent acting skills, a generation of females adore her as a role model. She is present in almost all scenes. Though the audience doesn’t feel for her character much, she carries the film along. Watch out for her wardrobe and that radiating smile! 3. Rajkummar Rao: Rajkummar is a ‘once in a generation actor’ whose stupendous run continues. Whether as an unconvincing fiancée in Queen or just voice-over in D-Day, this national award winning actor continues to amaze. Even if he was asked to play the role of a cupboard, he will manage to put flesh, blood and heart into the wooden structure. Watch out for his dance steps, as he breaks all stereotypes of his image, to outmatch item-aunty Malaika Arora Khan, in her own domain. 4. Varun Sharma: The Fukrey duo (Varun Sharma and Pulkit Samrat) feature in DKD and this time Varun completely overshadows Samrat. As the shy mama’s boy trying to break out of barriers, he takes over the comic mantle, whenever RajKummar goes off screen. Watch his brilliantly timed shy smiles … will give you smiles too. 5. Cocky Cameos: Comedy is the toughest genre to develop, more so when it’s done by actors coming and going off-screen. But starting from the arrogant dad Rajesh Sharma, to noisy mom Archana Puran Singh, to the confused partner Mohd Zeeshan Ayub, to helpful cop Brijendra Kala; each actor leaves an impression despite the meagre screen time (which understandably means less connect with the audience). It’s these little pieces which fit into the maze decisively. 6. 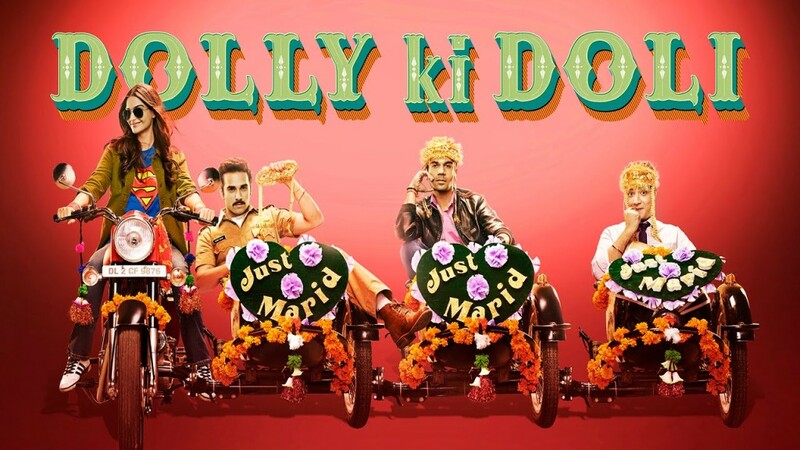 Dolly Ki Doli is timepass ki kholi: While pretenders and Hollywood addicts continue to mock Indian masala movies, the fact remains that most of us want a cosy evening in a theatre with family, some laughs, tears, songs, dance and wild moments. 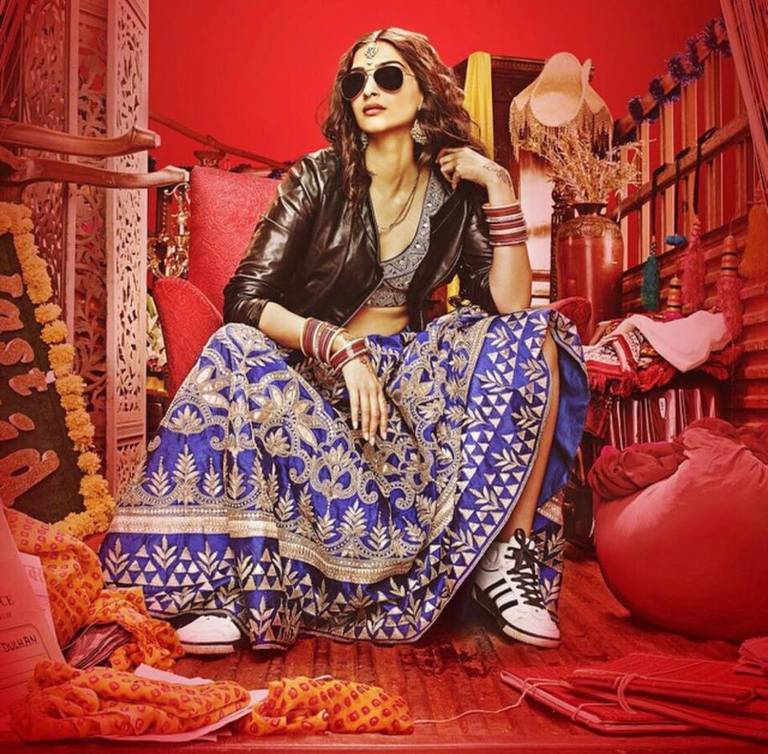 Dolly Ki Doli provides all that, despite an ordinary soundtrack. The feel good factor, the zero stress on brains and the colours are all there. 7. A dessert buffet: Ram Gopal Varma with ‘Kaun‘ (1999) had started the trend of Bollywood movies with shorter timeframes – less than 100 mins. Back then, it was all about fitting the story within the duration; ie. no songs, comedy tracks or elaborate emotional scenes. DKD tries to put songs, masala and a marriage within the 100 mins – probably for the first time. Hence obviously there is compromise in depth of storyline and what you see is a canvas of everything in small quantities… we live in an age of ice cream buffets, don’t we? Moviemaniacs or avid book readers may have a problem with it, but it works with Indians. 2014 had Khoobsoorat, Humpty Sharma Ki Dulhaniya, Yaariyan and Hasee To Phasee in similar genre – they all made money. This one will too. Verdict – Go for it! Laugh aloud with family this weekend. Box Office Prediction – First day, second show at Singapore (9pm Friday) had 60% occupancy at Bombay Talkies, most of whom laughed aloud entire 100mins. Salman (and Sohail, Arbaaz) Khan linked movies seldom get kind reviews from big publications. I expect word of mouth to do the trick for this one. DKD is expected to be a decent hit. Next Next post: Baby Review: 7 Reasons Why Baby Is Best Movie of 2015!